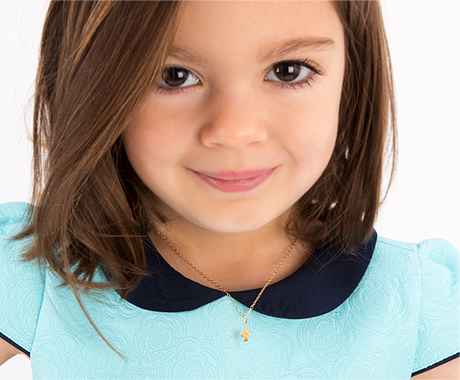 A gorgeous, heartfelt gift for that sweet little girl in your life. Sold as an individual pendant, this heart works well with most chain styles. Or, upgrade to Tiny Blessings exclusive chain, featuring diamond cut luster and adjustable sizes to accommodate your fast-growing girl. She will know how special she is to your heart when she opens that little blue box.